We have tried to make the templates we have created at the website for Joomla as easy to use and customize as possible. One of the features we have included in the template control panel is a color customization tool which allows you to easily change almost every part of the designs color scheme using the easy to use built in color picker tool. The built in color picker tool gives you both the freedom and control to customize almost every part of the template color scheme to suit your exact needs. 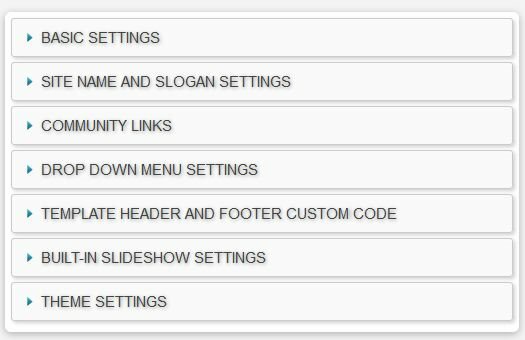 You don’t need to know CSS code or know how to edit the CSS files to change the color scheme of the design to suit your needs as everything can be easily changed and updated via the template control panel with a click of a button. A number of the templates we have created come supplied with a variety of ready made color styles for you to choose from which you can easily switch between by selecting the style from the drop down list. You can easily switch between the different color styles we have created by selecting the style from the drop down list and then selecting the save button to save the changes you have made. 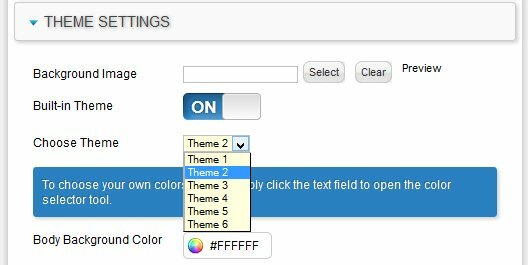 Once you have selected one of the built-in styles and saved the changes to the control panel your Joomla site will automatically be updated with the new color style you have selected. Once you have customized the colors to suit your needs just select the save button and all the changes you have made will be automatically applied to your website. 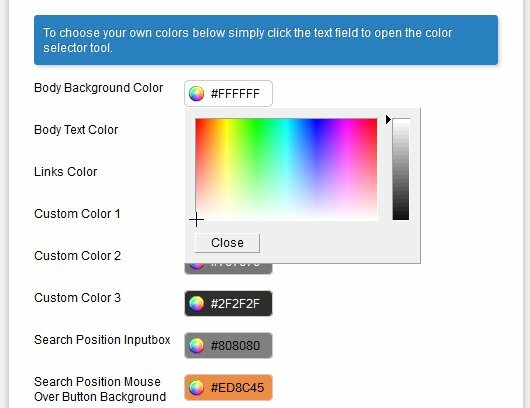 Noted below is a complete list of the color options we have included in the built-in color customize picker tool.